Listing courtesy of Berkshire HathawayHS PenFed TX, Jeanenne Kienle. 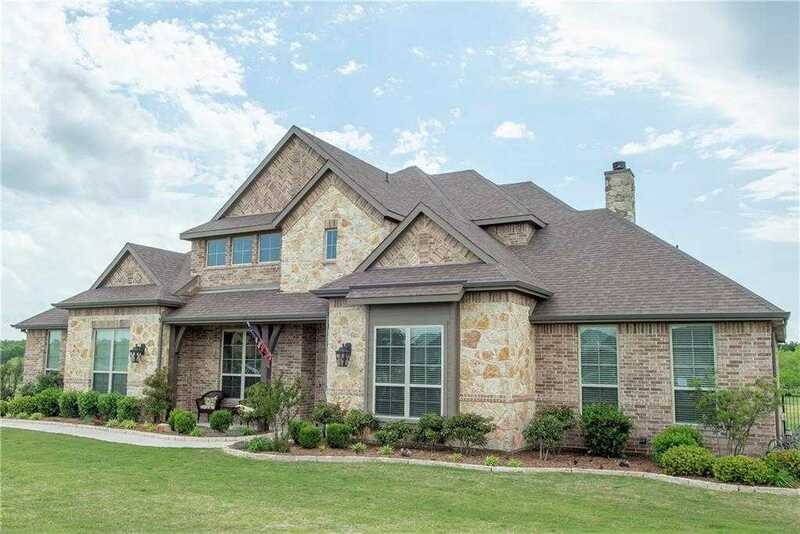 Fantastic 5 bedroom home nestled on 1.4 acres in Aledo ISD! The gated community of Saddle Creek offers stately homes on large 1 plus acre lots! This open concept home combines luxury with functionality. 4 bedrooms on the lower level, with the newly renovated 2nd story that offers a media room, large bedroom-full bath with shower. The gourmet kitchen offers stainless steel appliances, a California island, and beautiful cabinetry to the ceiling! The home is offers a heated pool and spa, complete with tanning ledge and pergola as well as an outdoor fireplace. The sunsets are stunning from the back patio. Come and see for yourself. In preparation for spring storms this home offers a custom interior storm shelter. Please, send me more information on this property: MLS# 14035727 – $614,900 – 113 Rattler Way, Fort Worth, TX 76126. I would like to schedule a showing appointment for this property: MLS# 14035727 – $614,900 – 113 Rattler Way, Fort Worth, TX 76126.